You can still apply for 2019 entry, even though the UCAS key date of 15 January has passed. The exception to this is Medicine, which is now closed for 2019 entry. On this page you will find a step-by-step guide to applying and details of what happens after you make an application. If you've used all five choices on your application and you're not holding any offers, UCAS Extra allows you to add another choice for free between 25 February and 4 July. Find out more at ucas.com. Complete and submit your application to us online through UCAS. Applying to university is an exciting time with lots to think about. With this in mind, we have created these steps as a guide to simplify the process. 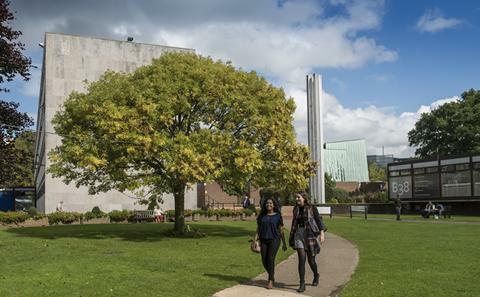 UCAS Undergraduate Apply is open for 2019 entry. You can now complete and submit your application. Date that all applications to medicine courses will be considered by. If you apply after the 15 October and the course is full, we will unfortunately not be able to consider your application. For Medicine courses you must also have completed the UK clinical aptitude test (UKCAT) before applying. You can still apply after the 15 January 2019, however, it is not certain we will be able to consider your application if the course has no spaces. If you are applying after after 15 January, contact our admissions team to check there are still spaces on your chosen course. Making sure the course is right for you is essential. Review the course details and don't be afraid to contact the faculty if you have any questions, we are always happy to help. It is important that you check that your qualifications are accepted and your grades are in line with the course entry requirements. If you are an international student please also advise check the English language requirements before applying. Start preparing your personal statement before you apply. 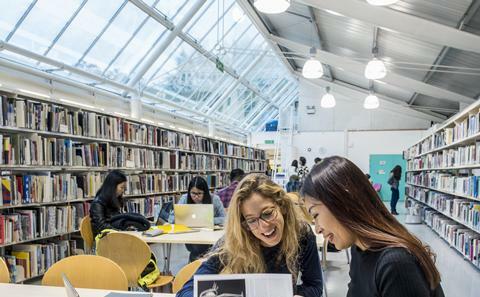 For some inspiration and expert advice, check out 'Top tips for writing a personal statement' from our Head of Admissions. 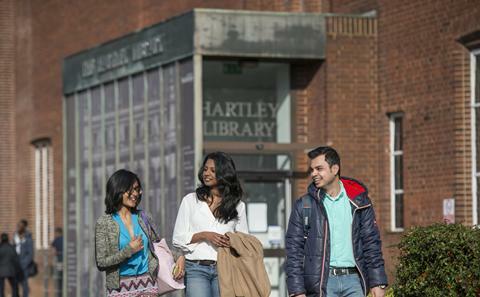 All undergraduate applicants, including international students will need to apply online with UCAS. Once you have applied, UCAS will send you an acknowledgement email and forward your application to us. We will let you know that your application has been received and is being processed. You will receive a response within two to six weeks, depending on your course. As well as a notification in UCAS Track, we will send you an email with our response. If you live in the UK you will also receive a printed copy by post. You will be sent an invitation to an Applicant Visit Day* either after you apply or if you are made an offer to study, depending on your course and the time of year that you apply. This will allow you to talk to academics and tour the labs, studios and lecture theatres in which you'll be studying. For some subjects you may be required to attend an interview. If this is the case, you will be contacted directly by the faculty. *Please note Applicant Visit Days do not generally take place from May - October but there are other ways you can visit us. Congratulations if you have been made an offer to study with us. Depending on when you applied, you will have a deadline to reply to your offers by. All decision deadlines can be found on the UCAS website. If you wish to take a gap year, your application will be considered in the normal way, but for entry in 2019 the conditions must have been met in the summer of 2018. Please note, Winchester School of Art does not accept deferred applications. However, in exceptional circumstances WSA can defer entry to the following year once you have been offered a place, have accepted it as your firm choice, and met all your conditions. Want to know more on how to apply? Don't miss our webinars to help you with applying. Join experts from our Student Enquiry team to talk you through the process. 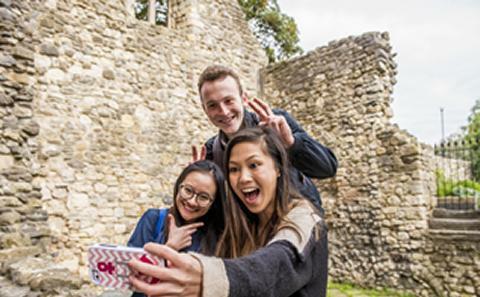 Find out more about why you belong at Southampton. Expert advice on creating a top personal statement. 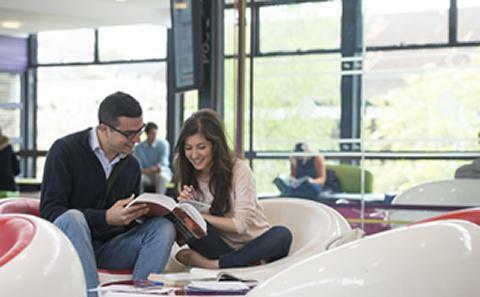 Information and advice on undergraduate fees and finance. Explore our wide range of undergraduate courses.